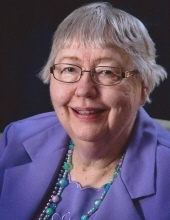 Dorothy Mae Riekens, 80, of Shakopee, MN, passed away on Saturday, January 19, 2019, at the Geneva Suites hospice home in Edina, MN, after a nearly six-year long battle with breast cancer. A funeral service will be held on Wednesday, January 23, 2019, at 2:00 PM at First United Methodist Church, 119 South Georgia. Visitation will take place one hour prior to the service at the church. Interment will take place in Elmwood-St. Joseph Cemetery. Dorothy was born on December 13, 1938, near Traer, Iowa, to Amiel and Alba Clara (Petra) Wilimek. She attended country school Perry #5 (Stormy Point) and moved to Traer in 1952. She graduated from Traer High School in 1956 and then attended Hamilton Business College in Mason City. After college she worked in the business office at Black’s Department Store in Mason City and Standard Glass and Paint Company in Waterloo, Iowa. She was united in marriage to James Riekens on February 12, 1961, in Waterloo. James and Dorothy moved to Clarion, Iowa in 1963, at which point she became a homemaker. They had two children Gregory and Michelle. Dorothy was involved in church choir, ladies groups and Women’s Federated Club. In lieu of flowers please make donations to The Breast Cancer Research Foundation at 28 West 44th Street, Suite 609; New York, NY 10036 or 1-866-FIND-A-CURE (346-3228) or visit their website at https://www.bcrf.org/. To send flowers or a remembrance gift to the family of Dorothy Mae Riekens, please visit our Tribute Store. "Email Address" would like to share the life celebration of Dorothy Mae Riekens. Click on the "link" to go to share a favorite memory or leave a condolence message for the family.